This paper presents the mechanical design for a new, four-fingered robot hand. The hand was developed in the context of a service robot project that aims to produce a robot that can handle tableware of various shapes to set and clear a table. This project required the development of a new hand that has a small number of motors but still a high level of adaptability so that it can handle the various shapes of tableware found in a place setting. We therefore developed a four-fingered robot hand which consists of four finger mechanisms and a mechanism capable of changing its direction of movement. The movement orientation of the four fingers can change, in a synchronized state, from a posture in which they are directly opposed to one in which they are diagonally opposed. This state transformation can be achieved with only one motor. Also, four fingers can perform synchronous opening and closing motions, and these motions can be achieved by only one motor. Only two motors are needed to drive the robot hand, and both are installed in the base of the hand. Consequently, the hand is a simple but very effective mechanism for stably handling tableware. 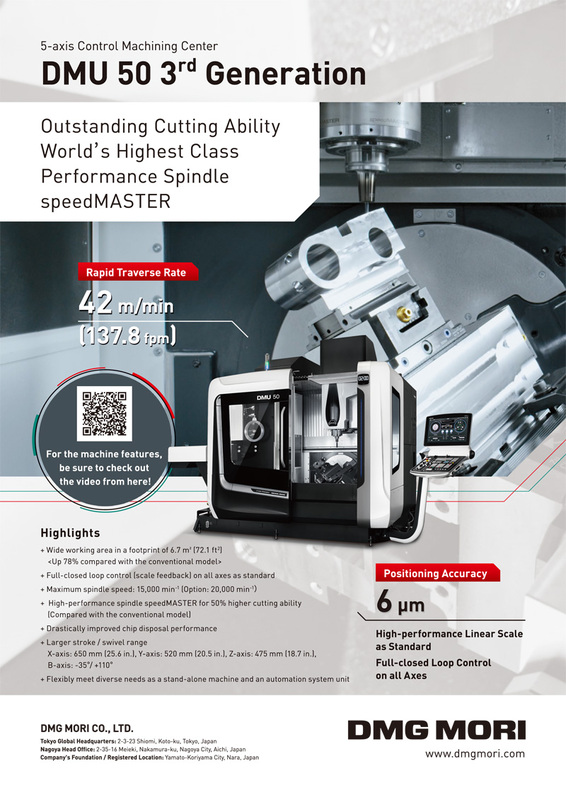 Tests have shown that it can successfully grasp various kinds of tableware, and that the new mechanism operates effectively. Full text (9.1MB) (free) Please log in. J. Tanaka, A. Sugahara, and H. Ogawa, “Four-Fingered Robot Hand with Mechanism to Change the Direction of Movement – Mechanical Design and Basic Experiments –,” J. Robot. Mechatron., Vol.30, No.4, pp. 624-637, 2018. M. T. Mason and J. K. Salisbury, “Robot Hands and the Mechanics of Manipulation,” MIT Press, 1985. S. C. Jacobsen, E. K. Iversen, D. F. Knutti, R. T. Johnson, and K. B. Biggers, “Design of the utah/M.I.T. dextrous hand,” Proc. IEEE Int. Conf. on Robotics and Automation, pp. 1520-1532, 1986. J. Butterfaß, M. Grebenstein, H. Liu, and G. Hirzinger, “DLR-Hand II: Next Generation of a Dextrous Robot Hand,” Proc. IEEE Int. Conf. on Robotics and Automation, pp. 109-114, 2001. H. Liu, K. Wu, P. Meusel, N. Seitz, G. Hirzinger, M. H. Jin, Y. W. Liu, S. W. Fan, T. Lan, and Z. P. Chen, “Multisensory five-finger dexterous hand: the DLR/HIT Hand II,” Proc. IEEE/RSJ Int. Conf. on Intelligent Robots and Systems, pp. 3692-3697, 2008. C. S. Lovchik and M. A. Diftler, “The robonaut hand: a dexterous robot hand for space,” Proc. IEEE Int. Conf. on Robotics and Automation, pp. 907-912, 1999. L. B. Bridgwater, C. A. Ihrke, M. A. Diftler, M. E. Abdallah, N. A. Radford, J. M. Rogers, S. Yayathi, R. S. Askew, and D. M. Linn, “The Robonaut 2 Hand – Designed To Do Work With Tools,” Proc. IEEE Int. Conf. on Robotics and Automation, pp. 3425-3430, 2012. I. W. Park, J. Y. Kim, J. Lee, and J. H. Oh, “Mechanical Design of Humanoid Robot Platform KHR-3 (KAIST Humanoid Robot-3:HUBO),” Proc. IEEE-RAS Int. Conf. on Humanoid Robots, pp. 321-326, 2005. H. Kawasaki and T. Komatsu, “Mechanism Design of Anthropomorphic Robot Hand: Gifu Hand I,” J. Robot. Mechatron., Vol.11, No.4, pp. 269-273, 1999. 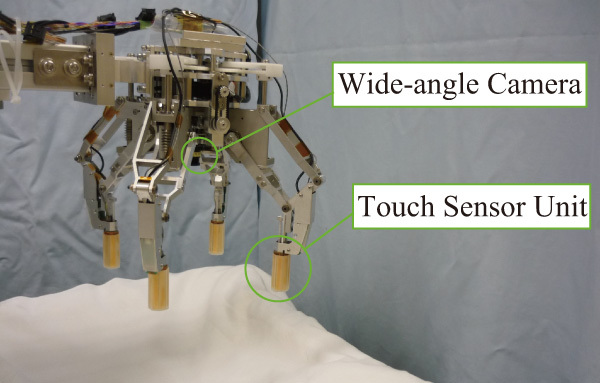 H. Kawasaki, T. Komatsu, and K. Uchiyama, “Dexterous Anthropomorphic Robot Hand with Distributed Tactile Sensor: Gifu Hand II,” IEEE/ASME Trans. on Mechatronics, Vol.7, No.3, pp. 296-303, 2002. K. Hoshino and I. Kawabuchi, “Stable pinching with fingertips in humanoid robot hand,” Proc. IEEE/RSJ Int. Conf. on Intelligent Robots and Systems, pp. 3815-3820, 2005. H. Iwata and S. Sugano, “Design of human symbiotic robot TWENDY-ONE,” Proc. IEEE Int. Conf. on Robotics and Automation, pp. 580-586,2009. K. Koganezawa and A. Ito, “Artificial hand with stiffness adjuster,” Proc. IEEE/RSJ Int. Conf. on Intelligent Robots and Systems, pp. 21-27, 2014. G. Palli, C. Melchiorri, G. Vassura, U. Scarcia, L. Moriello, G. Berselli, A. Cavallo, G. de Maria, C. Natale, S. Pirozzi, C. May, F. Ficuciello, and B. Siciliano, “The dexmart hand: Mechatronic design and experi-mental evaluation of synergy-based control for human-like grasping,” The Int. J. of Robotics Research, Vol.33, No.5, pp. 799-824, 2014. R. Hodoshima, K. Ueda, H. Ishida, M. Guarnieri, E. F. Fukushima, and S. Hirose, “Telerobotic Control System to Enhance Rescue Operations for Arm-equipped Tracked Vehicle HELIOS IX,” J. Robot. Mechatron., Vol.26, No.1, pp. 17-33, 2014. M. Osaki, T. Omata, and T. Takayama, “Assemblable Hand for Laparoscopic Surgery with Phased Array and Single-Element Ultrasound Probes,” J. Robot. Mechatron., Vol.25, No.3, pp. 863-870, 2013. W. T. Townsend, “The BarrettHand grasper – programmably flexible part handling and assembly,” Industrial Robots, Vol.27, No.3, pp. 181-188, 2000. A. Namiki, Y. Imai, M. Ishikawa, and M. Kaneko, “Development of a High-speed Multifingered Hand System and Its Application to Catching,” Proc. IEEE/RSJ Int. Conf. on Intelligent Robots and Systems, pp. 2666-2671,2003. D. M. Aukes, M. R. Cutkosky, S. Kim, J. Ulmen, P. Garcia, H. Stuart, A. Edsinger, “Design and Testing of a Selectively Compliant Underactuated Hand,” The Int. J. of Robotics Research, Vol.33, pp. 721-735, 2014. M. Higashimori, H. Jeong, I. Ishii, A. Namiki, M. Ishikawa, and M. Kaneko, “Development of four-fingered robot hand with dual turning mechanism,” J. of the Robotics Society of Japan, Vol.24, No.7, pp. 813-881, 2006 (in japanese). M. Guarnieri, I. Takao, E. F. Fukushima, and S. Hirose, “HELIOS VIII: Toward Practical Robots for Search and Rescue Operations,” J. Robot. Mechatron., Vol.20, No.5, pp. 675-694, 2008. S. Hirose and Y. Umatani, “The Development of Soft Gripper for the Versatile Robot Hand,” Machine and Mechanism Theory, Vol.13, No.3, pp. 351-359, 1978. K. Kaneko, K. Harada, and F. Kanehiro, “Development of Multi-fingered Hand for Life-size Humanoid Robots,” J. of the Robotics Society of Japan, Vol.26, No.1, pp. 98-109, 2008 (in Japanese). A. Sugahara, “Tactile Sensing Technologies for Dexterous Robots,” Toshiba Review, Vol.64, No.1, pp. 24-27, 2009 (in Japanese).